The Maya Kitchen presents the unique cuisine of Chef Martin Kaspar of l’entrecôte Corner Bar & Bistro on September 27, Saturday, 9am-1pm. Chef Kaspar will demonstrate Baked Mussels Au Cafe De Paris Butter, Shrimps Piri Piri, Beef Stroganoff, Marinated Salmon on Lemon Risotto and Duck Liver on Potato with Caramelized Onion, Calamansi and Berry Glaze. A native of Baden, Switzerland, Chef Kaspar is part owner of l’entrecôteCorner Bar & Bistro located at the Burgos Circle, Forbes Town Center, Bonifacio Global City. 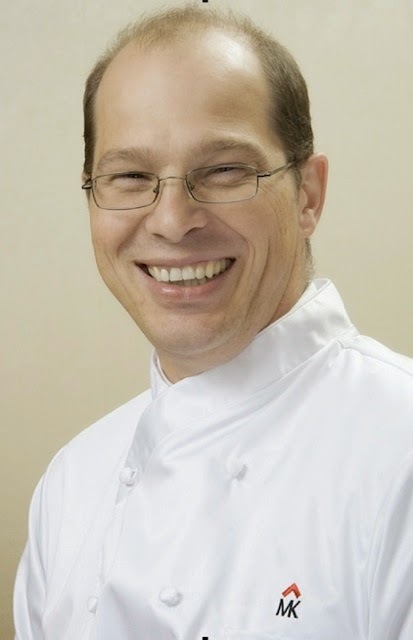 He also teaches at the Alain Ducasse Culinary Institute at Enderun College. His restaurant’s name is inspired by the legendary Le Relais de Venise–L'Entrecôte in Paris. Founded in 1959 by Paul Gineste de Saurs, the restaurant has made a name for itself by just serving steak-frites for its main dish with a unique butter sauce. Chef Kaspar is no stranger to the Philippines having first set foot in the country in 1986 as a young Junior Sous Chef at the then Hyatt Regency. He then occupied different culinary postings in Manila Hotel, The Byron Hotel and Stars of Giorgio before going back to Europe and joining the Swissôtel Group in 2000 starting out in Zurich then going to the group’s Sydney, Australia property. Chef Kaspar came back to the Philippines in 2010 to establish l’entrecôte Corner Bar & Bistro and is now a permanent resident.